Hungarian director Bela Tarr is the master of the hopeless slog. His latest film, The Turin Horse, is nowhere near his longest trudge — that would be the seven-hour Satantango, from 1994 — but it may be his last. Fittingly, it's about the end of the world. Based on a scenario by longtime Tarr collaborator Laszlo Krasznahorkai, The Turin Horse begins by recounting an anecdote to explain its title: While walking in Turin in 1889, Nietzsche saw a cab driver thrashing his horse, and threw himself between the animal and the whip. The philosopher then collapsed and spent the rest of his life in quiet dementia, mostly in the care of his mother and sister. What follows might be the story of the Turin cabman, his daughter — or maybe granddaughter — and the recalcitrant horse. But Tarr offers no confirmation that it is. The austere black-and-white images neither attempt to suggest Italy nor give a strong indication of the actual location, Hungary. The action, or lack of it, occurs in a rustic existential wasteland. 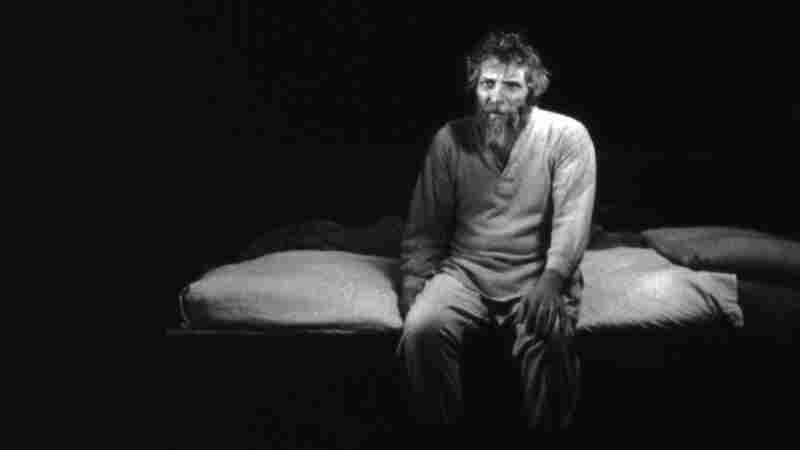 Aside from a strong and increasing wind, The Turin Horse could be set in the same empty spot as Waiting for Godot. Like Beckett's play, Tarr's film is about the daily lives of two isolated people, occasionally interrupted by visitors. One difference is that, where Beckett's characters are locked in their routines, Ohlsdorfer (Janos Derzsi) and his unnamed heir (Erika Bok) are being blown out of theirs. The duo's harsh world is getting harsher. It's not just the wind, underlined by Mihaly Vig's minimalist score. The horse is acting strange, and the well is going dry. At times, it even seems that the sun has gone out. As in Tarr's more elaborately plotted 2000 masterpiece, Werckmeister Harmonies, a great disaster looms off-screen. The two peasants' visitors bring alarming messages, though they're vague. An acquaintance arrives to buy some liquor, and warns that greedy humanity is doomed. Later, some gypsies pass though, and the man drives them off, although perhaps too late. They give the granddaughter a book that Tarr has described as a Nietzschean "anti-Bible." The bleakness is unrelenting — yet that's probably not why The Turin Horse has prompted so many audience walkouts. The film is structured as the events of six days, and each chapter promises to repeat the same obsessive depiction of simple acts: fetching water, chopping wood, eating potatoes and helping Ohlsdorfer, who has a lame arm, get dressed and undressed. The movie oppresses less through gloom than with repetition. And yet there's enormous variation within the tight confines of this parable, in large part because of the compositions and cinematography. Tarr and his veteran cameraman, Fred Kelemen, employ long hand-held camera takes. (There are only about 30, averaging roughly eight minutes each.) The film was shot in and around a farmhouse, built for the production, that is essentially one large room and an attached stable. The way the characters (including the horse) move through this space creates a sense of intimacy and completeness. These qualities are what make the film as compelling as it is forbidding. The Turin Horse is an absolute vision, masterly and enveloping in a way that less personal, more conventional movies are not. The film doesn't seduce; it commands.